Spark EV features an innovative electric propulsion system drive unit paired with a lithium-ion battery. Without the traditional transmission, torque has nowhere to go except directly to the tires on the road. That’s how Spark EV achieves 0 to 60 mph in 7.2 seconds. And with 327 lb.-ft. of torque, this electric vehicle is best-in-class. When it comes to charging, you’ve got options. The standard 120V cord plugs into any household outlet, or for a faster charge, available 240V chargers can fully power up the battery in just seven hours. And Spark EV vehicles equipped with the available DC Fast Charging option can visit a Fast Charging station and charge the battery to 80% in just 20 minutes. No matter how you charge Spark EV, you will feel the savings. With an average of 128 MPGe city and 109 MPGe highway, and an average range of 82 miles per charge, Spark EV brings you savings for the long haul. You’ll get an EPA-estimated fuel cost savings of almost $6,250 over five years. Spark EV features regenerative braking, which captures energy that would otherwise be lost while braking, decelerating or going downhill. It also offers liquid thermal conditioning, which maximizes its performance in extreme weather conditions. This provides the best performance from the battery and helps ensure its longevity. It’s time to put gas stations in your rearview. 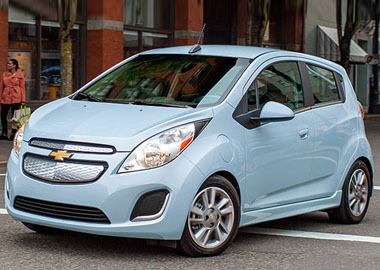 The 2016 Spark EV is an electric vehicle that features a lithium-ion battery that offers gas-free and tailpipe-emissions-free power and performance. Spark EV is designed to reduce drag and guide airflow. It’s easy to keep an eye on battery charge and how energy is being used and created. Spark EV gives you instant digital feedback through a 7-inch diagonal LCD screen in the Driver Information Center so you can get the most out of every kilowatt. Spark EV helps you stay entertained on the go. This electrifying ride is packed to the brim with technology that helps you connect to your music, your friends and everything else in your life. Spark EV offers available built-in 4G LTE Wi-Fi® connectivity through OnStar®, so the days of chasing down a Wi-Fi connection are over. When your vehicle is on, 4G LTE Wi-Fi® is automatically on too. 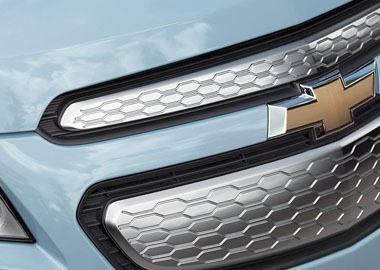 Spark EV offers a host of advanced safety features to help keep you safe every time you drive. Now you can set out on the road with confidence and feel protected wherever you go.